The color of this cognac is mahogany and on the nose: Some slight jasmine, port and cigar box, dried candied fruits and quite woody. Nice nutmeg and a warm, round work, but very complex at the same time. The final is very long, between 15 and 20 minutes. 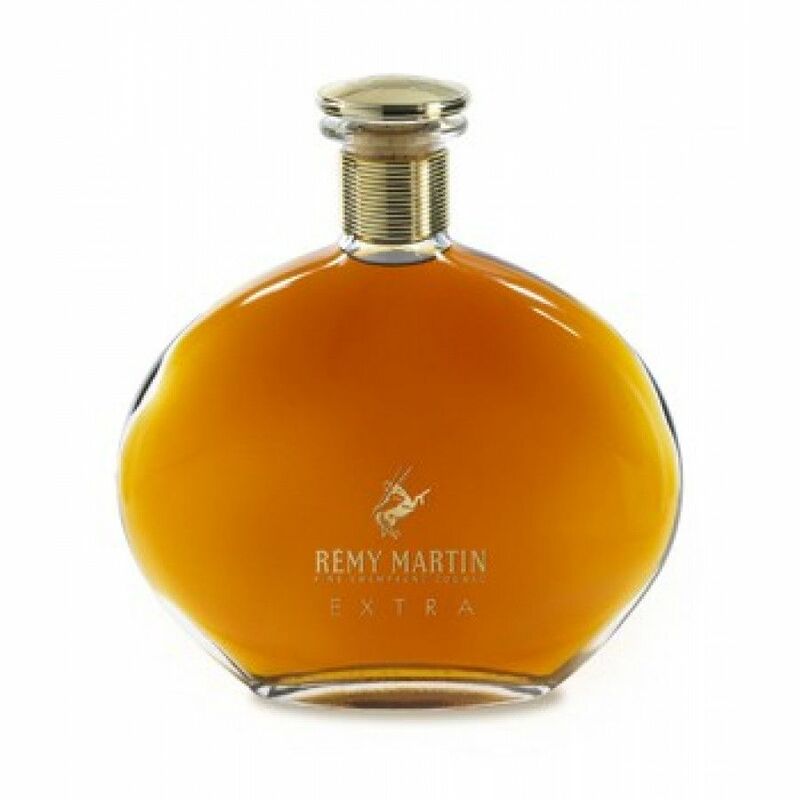 Here comes the Rémy Martin Extra cognac - in a 70cl decanter, at ABV of 40%. The cognac is a blend of 90% Grande Champagne spirits and 10% Petite Champagne eaux-de-vie, so we call it a Fine Champagne Extra. The bottle also exists at a 35cl format. Very smooth some what fruity excellent value. Why has it being discontinued.